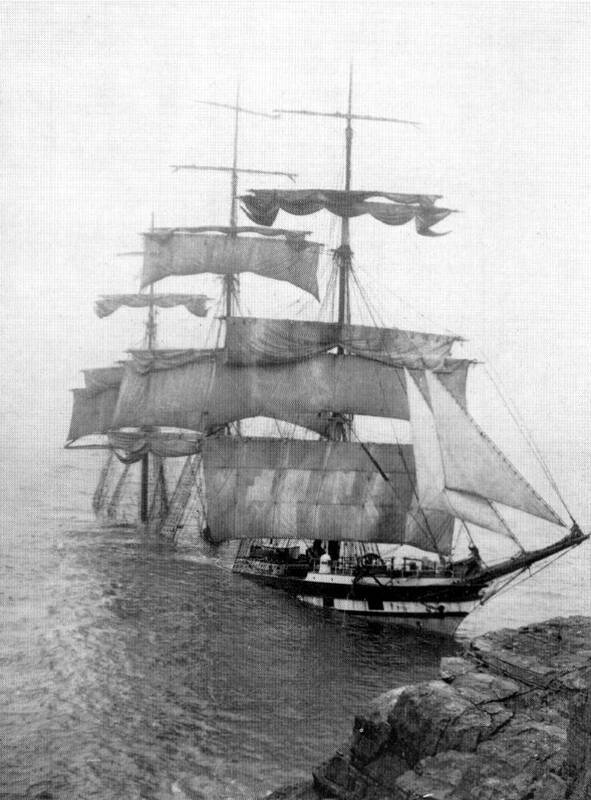 At 2150 on 23 May 1913 the Aberdeen full-rigger CROMDALE hit the rocks at BASS POINT. 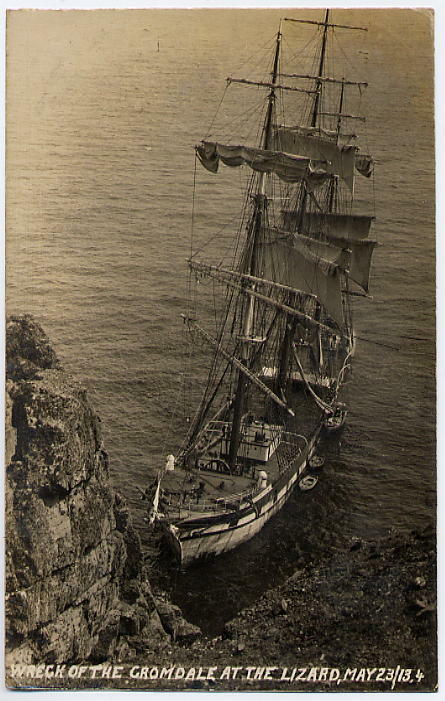 Carrying a cargo of nitrates and bound from Chile to Falmouth, she had already survived 124 days at sea in the Atlantic Ocean only to fall foul of rocks in a dense fog bank near the Lizard. Unfortunately, even though her master, Captain Arthur had earlier in the day obtained an accurate position check with a passing steamer, the darkness and reduced visibility made the ships lookout almost blind to the hazardous coastline ahead. At the very last second before impact the helmsman saw the breakers on the shore ahead but this huge sailing ship could not be turned before the inevitable disaster ensued. On impact the jagged rocks tore into the wooden hull and within the remarkably short space of ten minutes, she had to be abandoned. Flares fired by the crew from her boats immediately alerted the coastguard and the Lizard and Cadgwith Lifeboats were soon on the scene. All the crew were saved but the CROMDALE was a total loss, being totally broken up only a week later in a heavy gale.